We all have our favs, right? 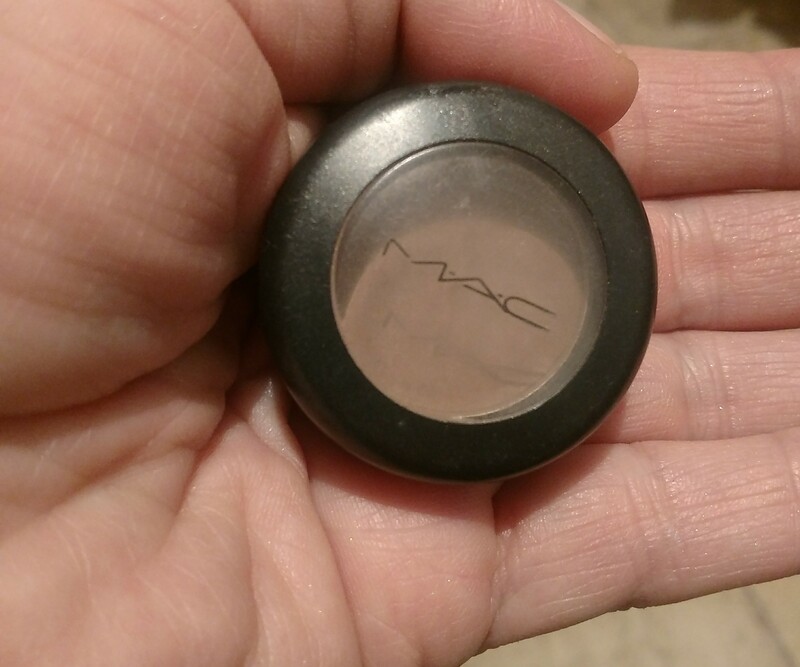 This is MACs Wedge and it is my most used, pretty much has holy grail status, to use a my crease shade. Yes, I do have a backup. Before Christmas 2017, it mysteriously went missing. I have this lil area where I keep all my small packaged items, like my single MAC shades, and when I went to use it, it wasn’t in its usual place. You know when something is missing or not where it is suppose to be, right? On my make up vanity where I sit and get ready every morning, I have my brushes and smaller products like my primer, MAC Paint Pots, etc , and I went to grab my MAC Wedge shade and OMG, ITS GONE! Of course, I thought maybe I didn’t put it away properly or something, and began snooping around for it, but dang if I could find it. MAC WEDGE, taken with the flash OFF. I didn’t think too much of it at that moment, but after a few weeks I started missing it and began looking for it again. Nothing, couldn’t find it. So then I decided, oh well I just crack open my back up. I opened in my drawer where I house all my backup products and was about to open my backup pan and THERE IT WAS, MY MAC WEDGE THAT IVE BEEN LOOSING. MAC WEDGE, taken with the flash ON.